Jon David Gruden is an American football coach who is currently working as the head coach of the Oakland Raiders of the National Football League(NFL). The lovely husband of Cindy Gruden and Oakland Raiders' coach is well known for his professional success. So, how much does he earn and what is his net worth? Jon Gruden is a well-established coach who also has broadcasting experience. Jon Gruden returned to coaching for the Oakland Raiders after being away from coaching in the NFL for nine long years. Today in this column, we will be discussing his net worth, career, and awards. Gruden has worked very hard to reach the position he is at today. He is dedicated to football and loves the sport dearly. The professional football coach at NFL has a handsome salary as the result of his hard work. Moreover, Jon Gruden has an estimated net worth of $22.5 million. He was announced as the head coach for the Oakland Raiders on January 6, 2018. Gruden penned a ten years contract, a deal worth more than $100million with the Raiders. This is one of the biggest contracts in the history of the league. It makes Gruden the second-highest paid NFL coach. As Gruden also has a SuperBowl win with Tampa Buccaneers on his resume. Well, no wonder he is so sought after and well paid. Before this, Gruden worked as an NFL analyst for ESPN on Monday Night Football where he was reportedly earning above $6.5 million per year. He was the highest paid on-air employee in ESPN. But, the ten-year contract is step-up from his previous pay cheque. So, now let's move on to his house. The multimillionaire coach lives with his wife Cindy Gruden and their children Deuce, Jayson and Michael. 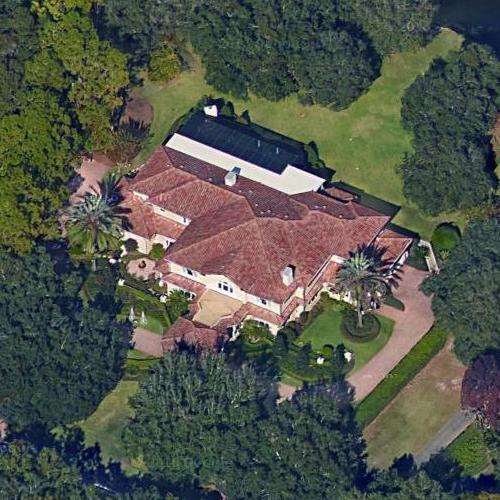 Gruden owns a home in Tampa Bay, Florida. The house is large and well furnished. The house has a big backyard and is surrounded by trees. It is fit for a well-off person like him. It seems the house has many bedrooms and other recreational rooms. The Raiders' coach owns a beautiful collector car; Ford Mustang GT350R. The car is custom made for Gruden in silver with a black racing stripe. Gruden loves his car and believes it to be the most beautiful car. A normal GT350R costs $65,495. Well, his custom car is certainly priced higher than that. Apart from the cars, Gruden also owns a Grady White bay boat. He does not know how to pilot the boat. So, he has hired a pilot for when he wants to travel in his boat. Jon Gruden is just returning to his coaching roots. He is still active in his career and has a lot more to offer. The recent deal with Oakland Raiders will certainly bring a rise on his net worth.